We're on the road again in 2017! Yes that’s right, spoiltpig are on the road again this year heading to festivals all around the country. Come and say hi to us, try our yummy bacon and enjoy some exclusive offers. Always great fun, these events are great for all the family to join in with and you can take advantage of getting 4 packs of bacon and a spoiltpig bag for £10! 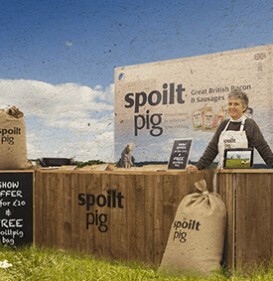 Check out the list below to see where you’ll be able to find spoiltpig this year.